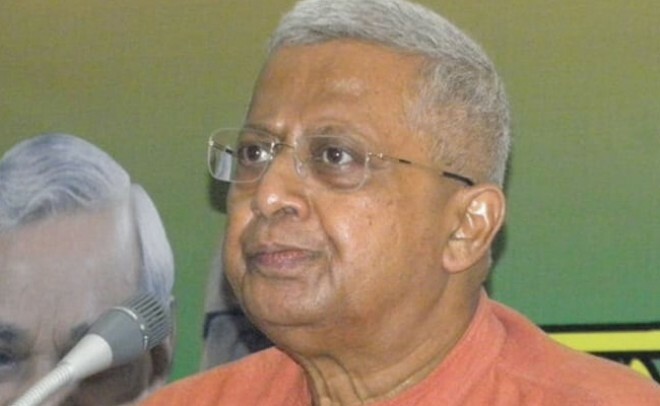 New Delhi, Feb 19: Meghalaya Governor Tathagata Roy on Wednesday asked the people to boycott Kashmiri goods and also urged people not to visit Kashmir. His statement came Against the backdrop of the Pulwama terrorist attack that claimed the lives of 40 CRPF personnel. Roy tweeted, "An appeal from a retired colonel of the Indian Army: Don't visit Kashmir, don't go to Amarnath for the next 2 years. Don't buy articles from Kashmir emporia or Kashmiri tradesman who come every winter. Boycott everything Kashmiri." The shocking statement drew flak from former J-K CM Omar Abdullah, who tweeted, "These are the bigots driving Kashmir over the abyss. While you are at it Tathagata why don't you stop using our rivers to generate your electricity as well? "People like Tathagata want Kashmir but without Kashmiris. They'd sooner see us driven into the sea. He Will be best placed to know he can't have one without the other so what's it to be?" Roy then responded tweeting, "Vociferously violent reactions from media and several others to my ECHOING OF a suggestion from a retired army colonel. A purely NON-VIOLENT REACTION to the killing of our soldiers by the hundreds and the driving out of 3.5 lakh Kashmiri Pandits."